HIGH NUMBERS!!! 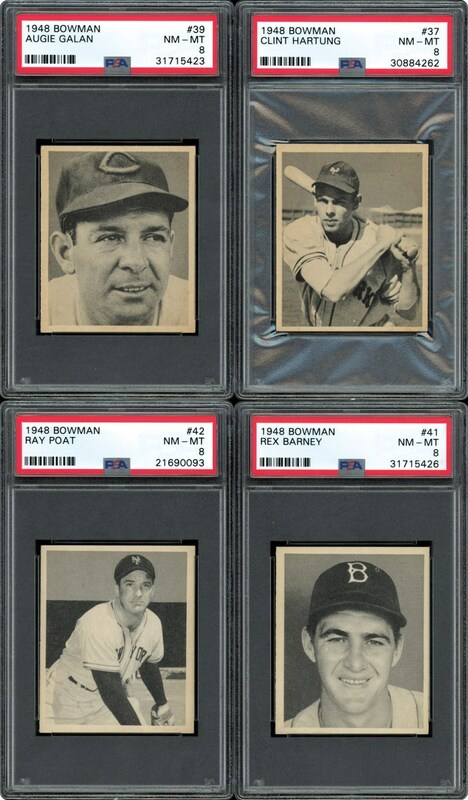 Offered here is a group of 8 different 1948 Bowman Baseball High Numbers all PSA graded. 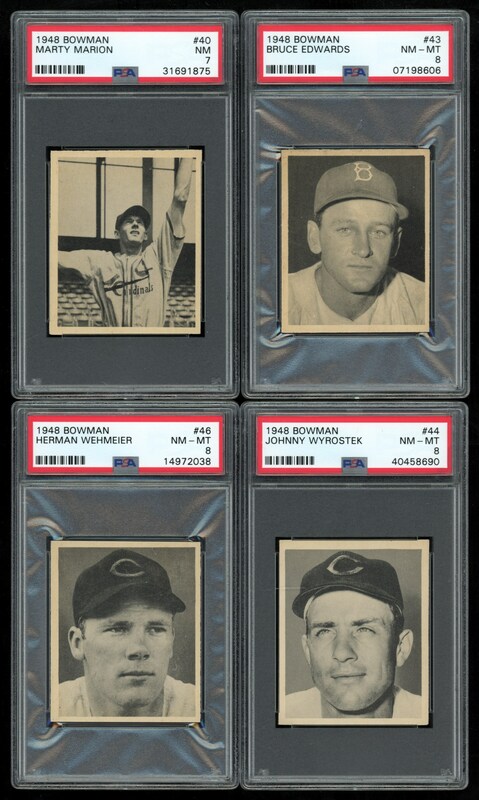 All of these High Numbers are from the 1948 Bowman Baseball Set Break in this Auction. 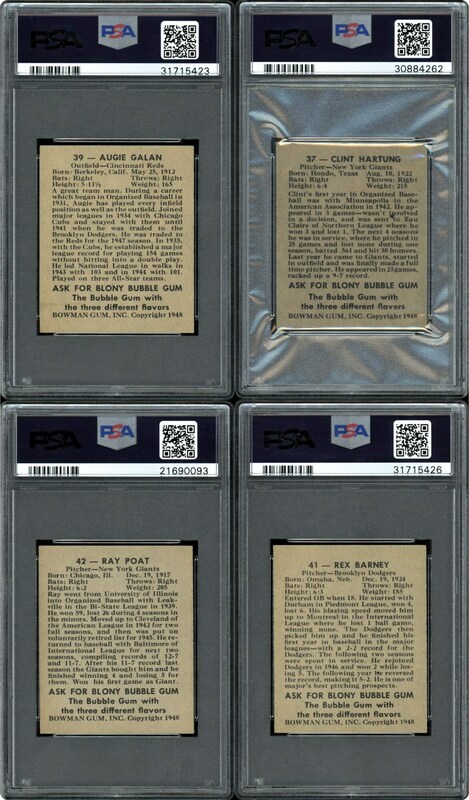 PSA 8's include: #37 Hartung, #39 Galan, #41 Barney, #42 Poat, #43 Edwards, #44 Wyrostek & #46 Wehmeier. 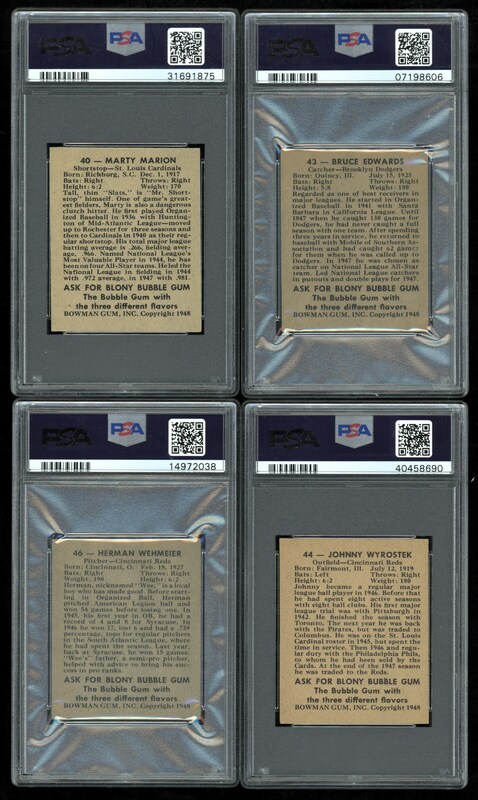 PSA 7 NM #40 Marion RC. SMR value of over $800.